Wow, it's been more than a month since I've posted. The whole having a baby thing kept me a little busy--not too busy to cook, but too busy (or exhausted) to blog about it. If you'd like to meet my little one, hop over to my Project Blueberry to meet him. 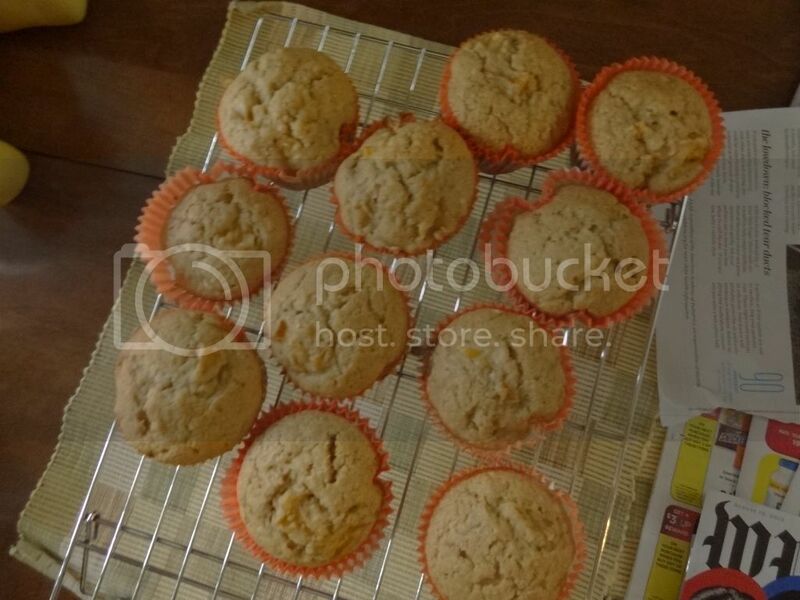 Here's a quick recipe for muffins that I whipped up yesterday by modifying this recipe for blueberry muffins. 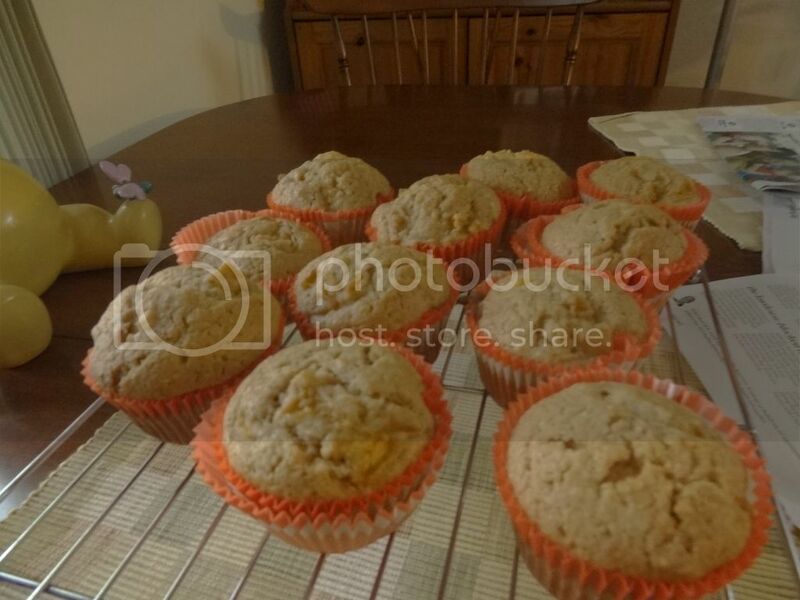 I was inspired to bake my own peach muffins after having a fantastic peaches and cream muffin at Starbucks on Friday. (Note: The "cream" part was simply icing piped into the middle, which you could easily add to this recipe.) In modifying my blueberry oat muffins recipe, I omitted the oats. However, I think either oats or nuts would be a yummy addition. 1/2 c oatmeal (quick cooking) or nuts, if desired. Whisk together flour, salt, baking powder, and cinnamon in a small bowl. In stand mixer or larger bowl, beat together sugars and butter until well-mixed and fluffy. Add in eggs, one at a time. Add in half of flour mixture, then milk, then remaining flour. Scrap down bowl, as needed. Stir in peaches and nuts/oats, if using. You may wish to mash some of the peaches. Divide evening into muffin cups. Tap pan on counter to eliminate air bubbles. Bake for 25-30 minutes until a tester comes out clean. If desired, sprinkle with a couple teaspoons of sugar (larger granules, preferred) and/or cinnamon as soon as they come out of the oven.